Türk Telekom AS achieved the title by transferring 8 terabits of data per second using a Wave-Division Multiplex (WDM) solution in the production network. 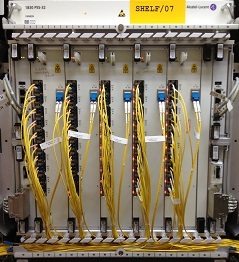 The transfer was employed by 80 100Gbit/s channels on a single fibre, utilizing Alcatel-Lucent's 1830 Photonic Service Switch and 1626 Light Manager. The data transfer rate was a commercial execution on a pair of fibrotic connections. EANTC acted as an independent expert witness, measuring the capacity data transfer speed, permitting Guinness World Records to verify the achievement.